Did you know Sherwin-Williams recently announced the 2019 Color of the Year? Cavern Clay is a terracotta shade inspired by the desert. From Bohemian designs to Minimalist decor, this color will add warmth to your interior space. American Freight Furniture and Mattress has tons of stylish furniture that’s easy to pair with Cavern Clay. In this post, we’re going to teach you how to incorporate Cavern Clay into your home. 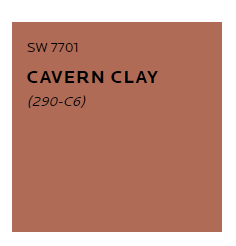 Cavern Clay is a modern take on an ancient color. Like the name says, it’s a clay shade. It’s most notably seen in the Southwest region in tile, stucco, and Aztec-inspired patterns. So, how can you incorporate this color into your home? We’re here to help. You don’t have to drop everything and transform your entire space to achieve a Cavern Clay-inspired look. Here are some simple ways to add the Sherwin-Williams Color of the Year 2019 room by room. 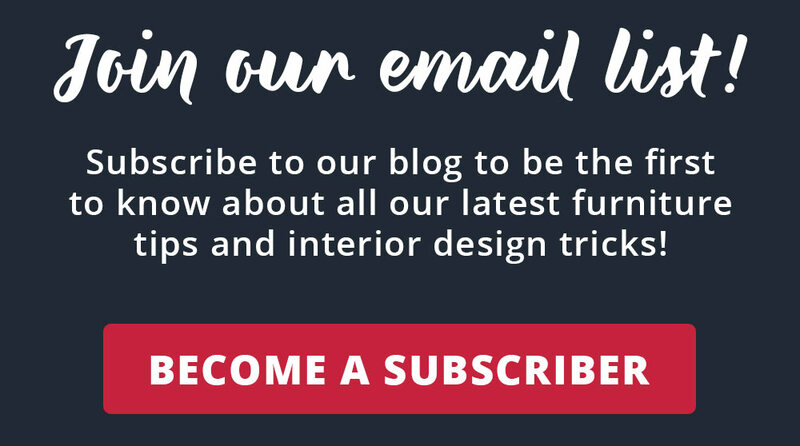 There are multiple living room styles to choose from at American Freight Furniture and Mattress that will help you achieve the modern desert look. We like the Boardwalk 3-Piece Reclining Sectional Sofa and matching recliner. The light mocha color will blend beautifully with a Cavern Clay accent wall or tabletop decorations. Read more about the Boardwalk Brown Rocker Recliner here. 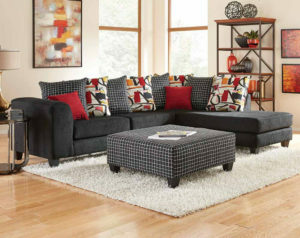 The Kismet 2 Piece Sectional Sofa is another top pick. Black is one of the easiest colors to pair with Cavern Clay and it’s a combination we predict you’ll see again and again. The throw pillows come in a variety of patterns and textures. You can purchase the matching ottoman to create an elevated look. For more specs on the Kismet, click here. Retreat to your bedroom to sit and relax in a cozy accent chair. 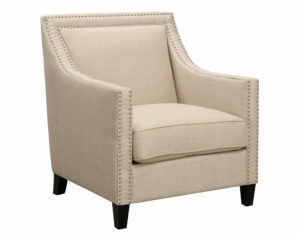 We love to pair the Erica Taupe Accent Chair with a terracotta or clay-colored throw blanket. You could also create an ottoman and accent chair combo. Choose a clay footrest and a cream and clay accent pillow for a sitting area trifecta. You can achieve a similar look with the Erica Chocolate Accent Chair. A quick and easy way to incorporate any trendy color into your home is to buy colorful placemats or napkins. In your dining room, decorate your formal dining table with a Cavern Clay tablecloth. One of our favorite dining room table sets is the Jax 5 Piece Dining Set. The cream upholstered chairs contrast nicely with the farm-style wood table. You can also purchase this set with an upholstered bench. The Cavern Clay linens will complete the fall-inspired color scheme. Don’t settle for just one bold Southwest inspired color in your home. Sherwin-Williams went the extra mile to announce four of their top picks to pair with the Color of the Year 2019. Origami White, Distance, Moth Wing, and Dark Clove made the cut. Origami White is a gray offwhite color that’s simple and sophisticated. Distance is a rich gray-blue shade. Moth Wing is a light brown color that can be distinguished as a touch darker than beige. Dark Clove looks just like the spice. It’s a dark brown with a hint of an olive green hue. These Sherwin-Williams colors are part of the Wanderer collection of interior paint colors. American Freight Furniture and Mattress makes it easy to bring home affordable furniture and mattresses with great payment plans! Take home a new sofa and loveseat set, dining table, or accent chair for just $50. Click here for more details.